Turn an ordinary afternoon into a celebration with six exclusive event projects! 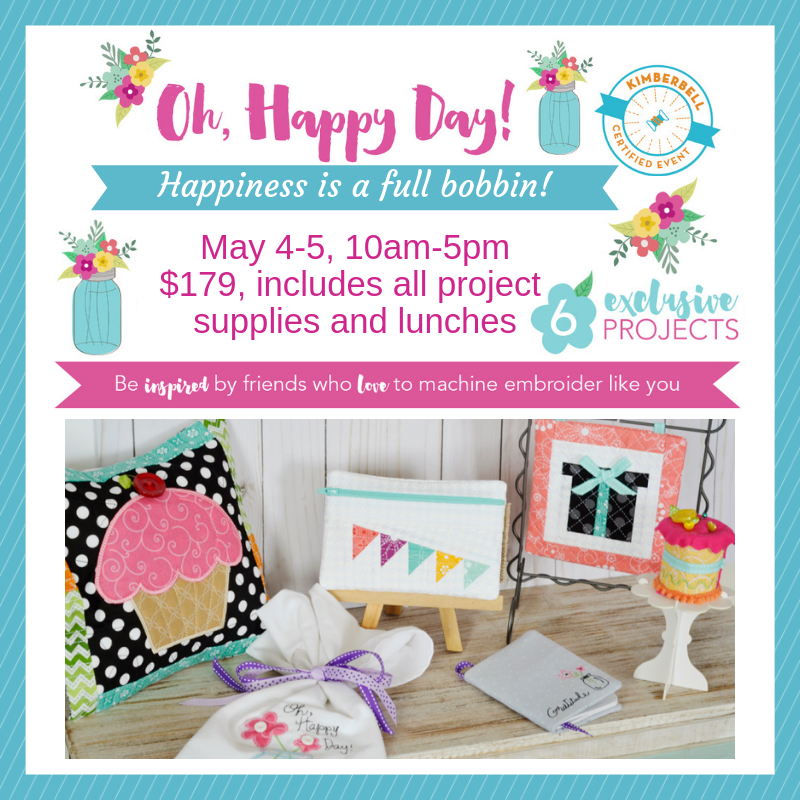 Projects include a quilted cupcake pillow, jump-for-joy zipper pouch, Kimberbell's original embroider by number mini quilt, an adorable gratitude journal and more! Improve your embroidery skills and learn new techniques while trying a variety of machine embroidery products. Receive a Kimberbell project bag and fabric kit with all the Kimberbellishments, plus step-by-step instructions and project CD. Be inspired by friends who love machine embroidery and learn from Celeste as she guides you through each project. This event is non-refundable unless we can fill your spot from the waiting list.